The majority of people that have these cysts have simple renal cyst. These are non-cancerous and usually go away on their own. The complex cyst is called that because they have several characteristics of kidney cancer. In the event that you’re cysts turn out to be of the complex type, your physician may discuss kidney cancer treatment with you. You may also have bilateral renal cysts. These are cysts on both kidneys. Again, most likely they are of the simple variety. Theses kidney cyst generally do not need treatment. They are not even usually detected unless you have some kind of scan usually for another issue. In which case your physician will check to be sure that they are simple cysts and not complex. In the event that your renal cyst causes you any discomfort, you may want to try a kidney disease diet. This may help to lessen some of your symptoms. This is something else you should speak to your medical professional about. 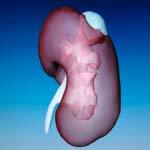 You may also want to be aware renal failure symptoms. Many of these symptoms include but are not limited to, swelling of the legs and feet, very little urine output, often thirsty, rapid heart rate, dizzy when rising, loss of appetite, nausea and vomiting. Remember just because you have some of these symptoms does not mean you have having renal failure, but you should check with your doctor.